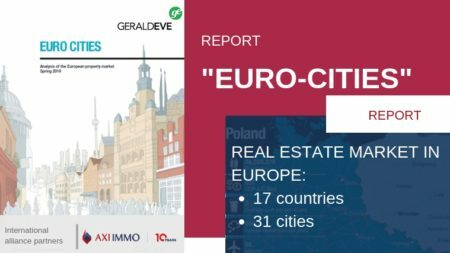 Press releases - press office Axi Immo Group publishes press releases, the latest reports and market data from the commercial real estate market. AXI IMMO advises BioFeed on renting over 6,000 sqm. warehouse and office space in Gdansk. 123lazienka.pl Sp. Z o.o. – distributor of fittings and equipment for the kitchen and bathroom has leased approx. 3,400 sq m of warehouse and office space in Prologis Park Błonie. AXI IMMO has advised the client in transaction. Panattoni Europe, industrial real estate leader in Europe, will develop a manufacturing investment for Rockwell Automation. The factory with the planned area of approx. 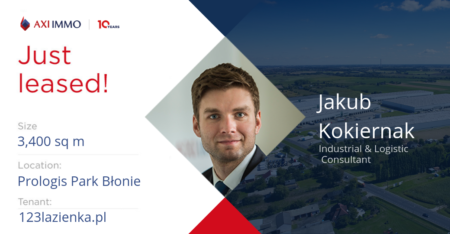 11,300 sqm will be delivered in Katowice and will be highly automated, based on the latest technologies from Industry 4.0. The development is set to commence in April, and the finalization is scheduled for November 2019. 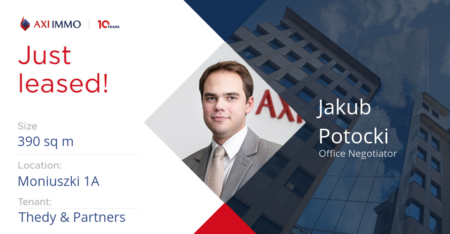 AXI IMMO has advised the tenant in the transaction. Thedy & Partners dealing with tax consultancy has leased 390 sq m. office space in the Moniuszki Tower office building in Warsaw. AXI IMMO advised in the transaction. 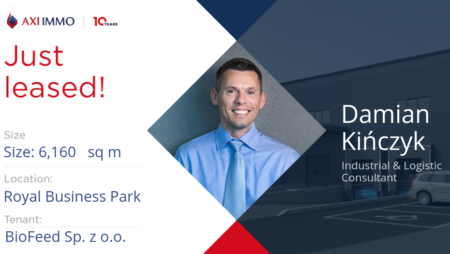 An international logistics service provider specialized in comprehensive solutions for supply chains has signed a lease contract for over 5,000 sq m modern warehouse space in Hillwood & PHN Pruszków. AXI IMMO has represented the tenant in the transaction. 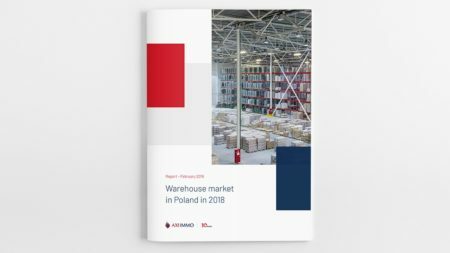 The warehouse market in Poland in the years 2008 – 2018 has undergone a significant metamorphosis. AXI IMMO experts have distinguished 10 elements that have changed over the last 10 years. 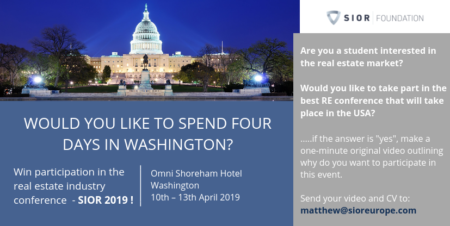 AXI IMMO invites to participate in the competition of the international organization SIOR: ‘Student Real Estate Experience’. The deadline for submitting applications is 28/02/2019. 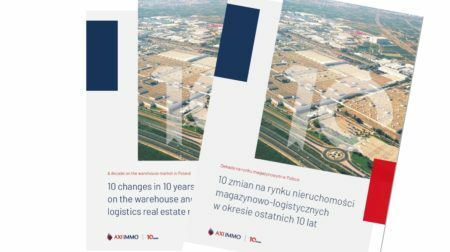 AXI IMMO Report – Warehouse market in 2018 in Poland and forecasts for 2019. The warehouse market is on a stable growth path. Warehouses are a big hit in the investment market.